Since my last post, we have found new evidence in the next stage payloads of the CCleaner supply chain attack that provide a stronger link between this attack and the Axiom group. First of all, our researchers would like to thank the entire team at Cisco Talos for their excellent work on this attack (their post regarding stage 2 can be found here) as well as their cooperation by allowing us access to the stage 2 payload. Also, we would like to give a special thanks to Kaspersky Labs for their collaboration. Starting from the stage 2 payload, I reverse engineered the module, extracting other hidden shellcode and binaries within. After uploading the different binaries to Intezer Analyze™, the final payload (that I have access to) had a match with a binary relating to the Axiom group. At first glance, I believed it was going to be the same custom base64 function as mentioned in my previous blog post. A deeper look in the shared code proved otherwise. Not only did the first payload have shared code between the Axiom group and CCBkdr, but the second did as well. The above photo shows the same function between two binaries. Let me put this into better context for you: out of all the billions and billions of pieces of code (both trusted and malicious) contained in the Intezer Code Genome Database, we found this code in only these APTs. It is also worth noting that this isn’t a standard method one would use to call an API. 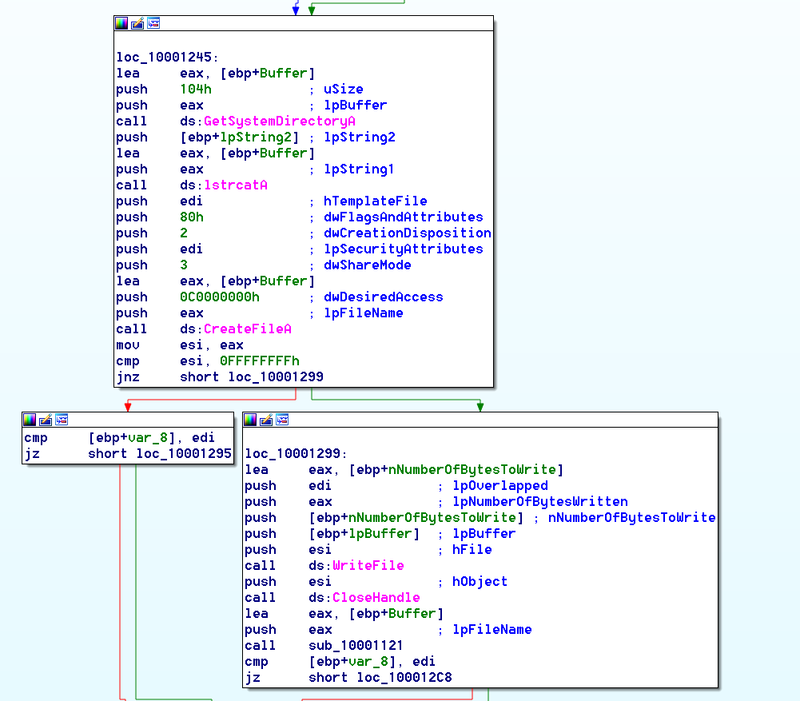 The attacker used the simple technique of employing an array to hide a string from being in clear sight of those analyzing the binary (although to those who are more experienced, it is obvious) and remain undetected from antivirus signatures. The author probably copied and pasted the code, which is what often happens to avoid duplicative efforts: rewriting the same code for the same functionality twice. Due to the uniqueness of the shared code, we strongly concluded that the code was written by the same attacker. 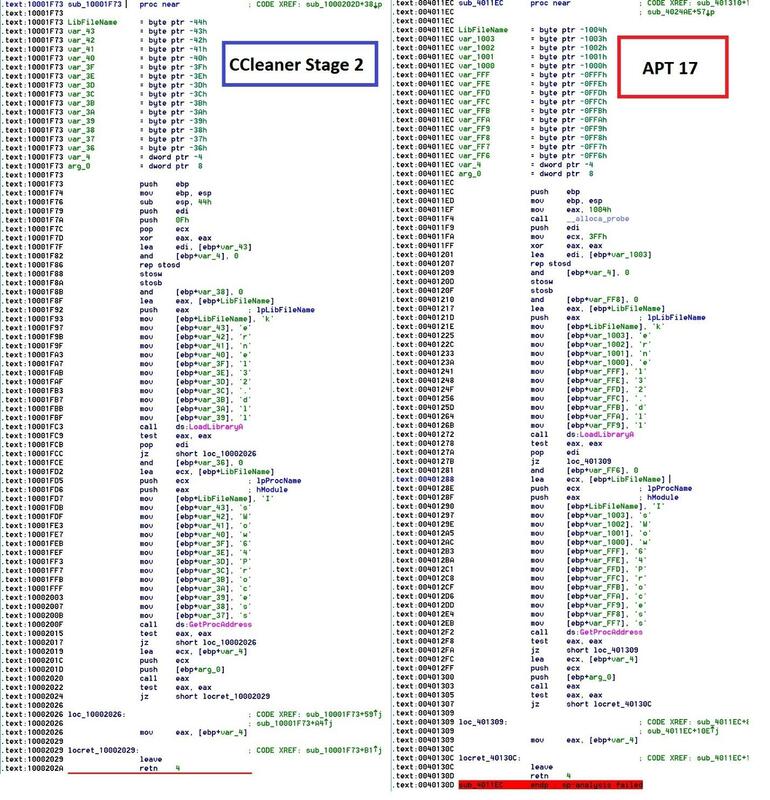 The stage two payload that was analyzed in this report (dc9b5e8aa6ec86db8af0a7aa897ca61db3e5f3d2e0942e319074db1aaccfdc83), after launching the infected version of CCleaner, was dropped to only a selective group of targets, as reported by Talos. 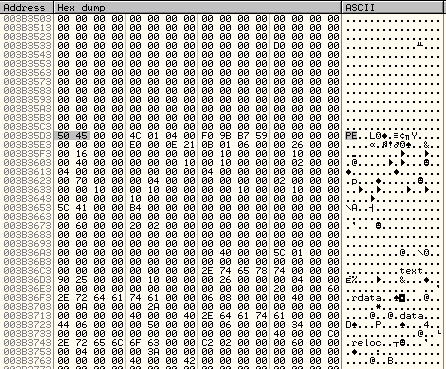 Although there is an x64 version, the following analysis will only include the x86 version because they are nearly identical. I will not be going too far in depth as full comprehension of the technical analysis will require an understanding of reverse engineering. Instead of using the typical API (VirtualAlloc) to allocate memory, the attackers allocated memory on the heap using LocalAlloc, and then copied a compressed payload to the allocated memory. 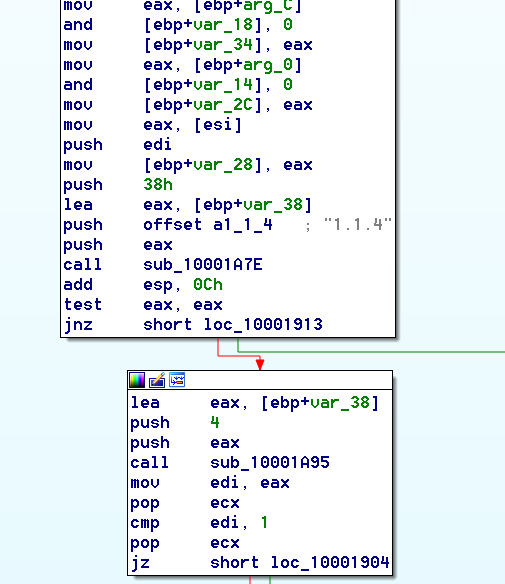 It looks like the attackers used version 1.1.4 of zlib to decompress the payload into this allocated memory region. Depending on if you’re running x86 or x64 Windows, it will drop a different module. (32-bit 07fb252d2e853a9b1b32f30ede411f2efbb9f01e4a7782db5eacf3f55cf34902, 64-bit 128aca58be325174f0220bd7ca6030e4e206b4378796e82da460055733bb6f4f) Both modules are actually legitimate software with additional code and a modified execution flow. The last modified time on the modules is changed to match that of the msvcrt.dll that is located in your system32 folder–a technique to stay under the radar by not being able to check last modified files. Some shellcode and another module are written to the registry. After the module is successfully dropped, a service is created under the name Spooler or SessionEnv, depending upon your environment, which then loads the newly dropped module. The new module being run by the service allocates memory, reads the registry where the other payload is located, and then copies it to memory. 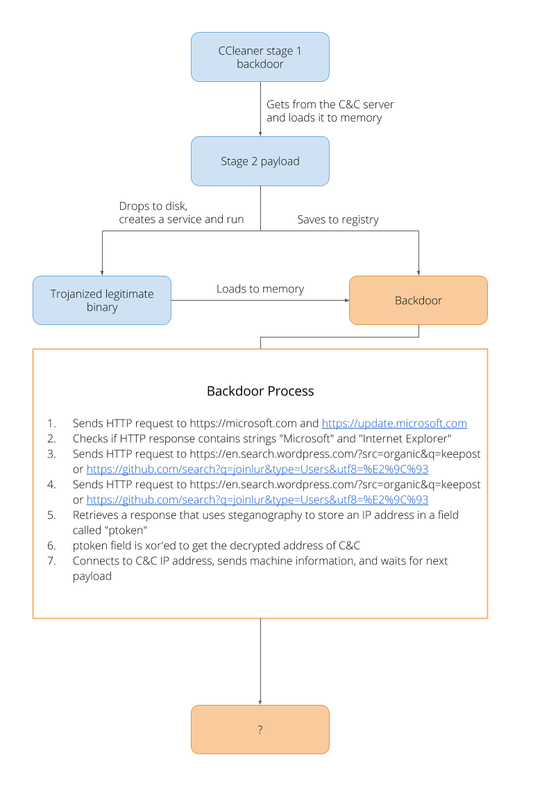 The next module is a essentially another backdoor that connects to a few domains; before revealing the true IP, it will connect to for the next stage payload. It starts by ensuring it receives the correct response from https://www.microsoft.com and https://update.microsoft.com. 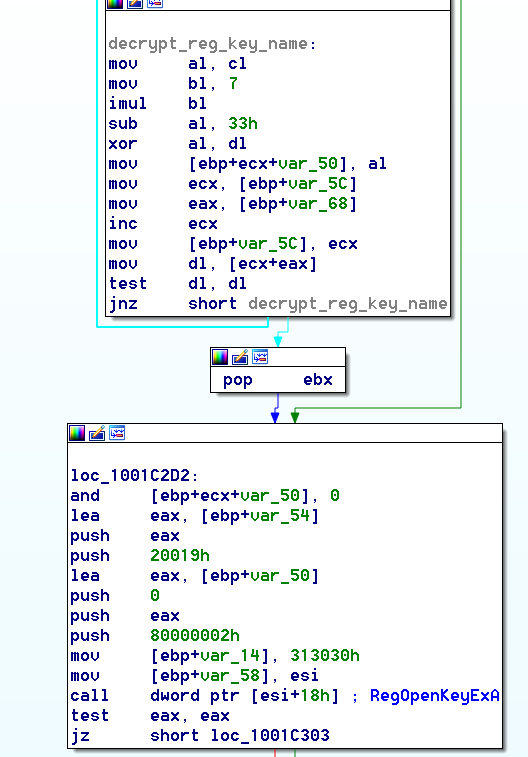 The malware proceeds to decrypt two more URLs. The malware authors used steganography to store the IP address in a ptoken field of the HTML. 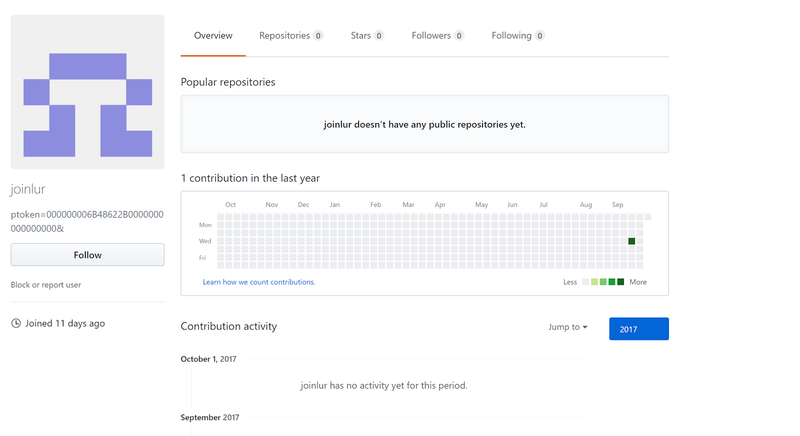 Here you can see the GitHub page with the ptoken field. The complexity and quality of this particular attack has led our team to conclude that it was most likely state-sponsored. Considering this new evidence, the malware can be attributed to the Axiom group due to both the nature of the attack itself and the specific code reuse throughout that our technology was able to uncover.